Are you trying to value your property, but don’t know where to start? Getting confused about all the different variables you are getting from those online calculators and apps? Then we urge you to stop what you are doing and get in touch with us at Hill & Viteri Property on (02) 9545-2220 for FREE Appraisal Estimate on your property. Too busy to chat now? Simply fill out our ​contact form and we will get back to you at a more suitable time. Our office is conveniently located in the Sutherland Shire at 1/29 East Parade, Sutherland, NSW 2232. We welcome your visit if you are ever in town. At Hill & Viteri Property we believe in helping our clients to achieve financial freedom by using real estate as a vessel to build additional passive income streams. “Helping People Through Real Estate” is our company code and motto, and delivering in customer service and excellence is what we thrive on. No matter what your property circumstances might be? We are always here to provide you with some sound advice, and help you to achieve your property goals. Our clients come from many different walks of life, and we understand the frustrations that the real estate market can cause amongst homeowners and landlords. By simplifying the buying and selling process for you, we make sure that your real estate experience is easy to understand and pleasant too. And the same goes with investors and landlords looking to lease out their properties. Our Property Management Team spearheaded by Leigh Anderson, are professional in their dealings, and will leave no stone unturned when it comes to managing your properties. Educating our customers is key to their success in the property market, especially when there are many different methods that agents use when conducting business. Having a clear understanding of your real estate affairs, is what will help you to make informed decisions when it comes to leasing out property, buying & selling homes or even upgrading to something bigger to live in. And when at times you might think that you and your property are in a dire situation, the truth might be the opposite. And the only way to find out is to speak to one of our Licensed Real Estate Agents in Sutherland on (02) 9545-2220. They are more than willing to assist you with your property matters. 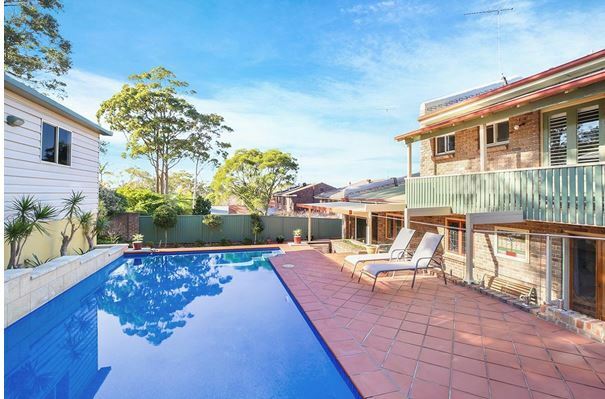 Selling Real Estate in Sutherland Shire is what we do best. And we do this this by creating value beyond comparison through Communication, Negotiating and Marketing. All our agents at Hill & Viteri receive continuous training that sees them constantly striving to achieve the best results for customers. So rest assured that when you deal with us, that your real estate experience will be enlightening, pleasant and a valuable one too. Let us help you to achieve your goals in the property market whether you are buying, selling or looking to upgrade? We have years of experience selling real estate in Sutherland Shire and want to share our wealth of knowledge to see you succeed as well. And don’t forget if you are a property investor looking for a real estate agency to manage your rental properties? We got you covered with the best property managers sutherland has to offer. Keeping vacancy rates low is a sure way to see you get a healthy return on your investment property. And by keeping good tenants that take care of the rental home is part and parcel of successful property management. So don’t settle for second best. Go with the agency that has your best interests at heart. Give us a call now on (02) 9545-2220, or simply fill out our ​contact form, and we will get back to you when you are available.